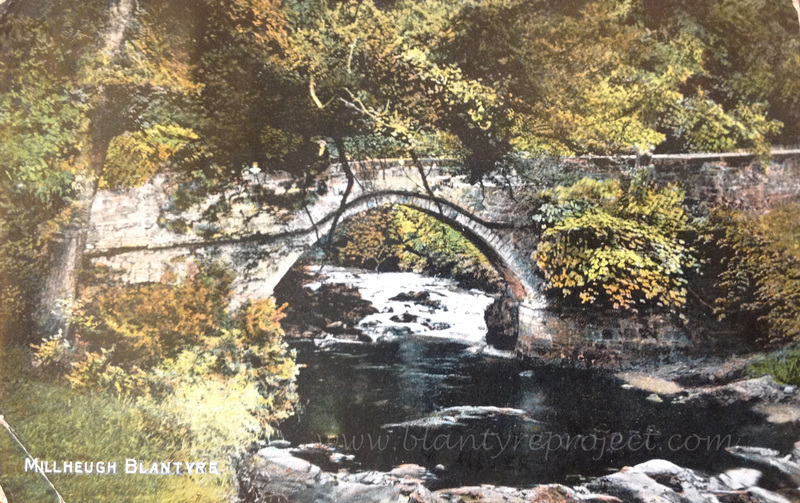 Pictured here in 1915, is the older Milheugh Bridge (i.e this one was renovated and built upon in 1952). This old bridge had a peaked arch underneath, which was commonly thought by people at the time as being broken or stressed due to mine workings below. However, this was not the case, and the arch although not perfect, was shaped like this to give it strength. It would have carried horses, carts and stagecoaches over the bridge and up the Lindsay Brae. On the opposite side of the bridge, the path led to Milheugh Estate and back up the hill again at the Peth Brae towards Barnhill. There was an old mill adjacent to this original bridge, on the South side, which is the current focus of my research. More on that later. 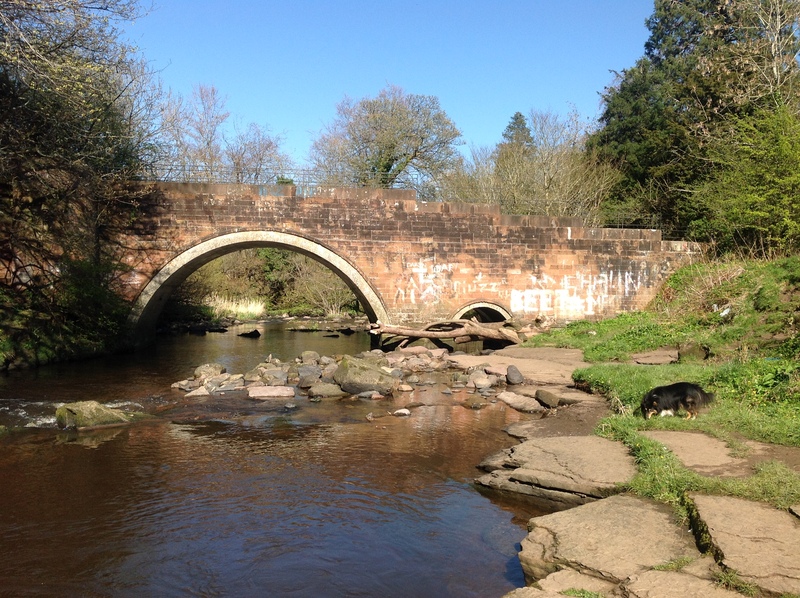 Today, the bridge looks more modern and has suffered somewhat to graffiti, as my modern photo below (taken from the opposite side) shows.